This advert is for a range of A4 East of India sticker sheets - for christmas, weddings, christenings. Select the design from the drop down menu and select the quanity which is needed. Sent out same day in the 1st Class Post. 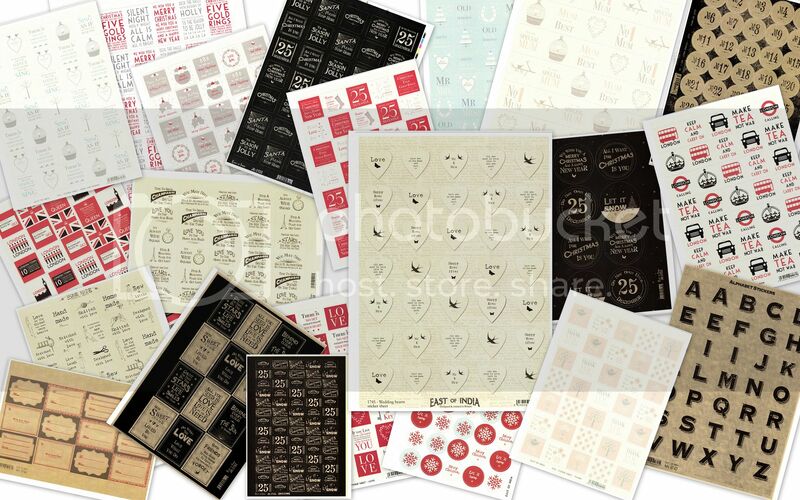 A selection of sticker sheets from the East Of India range.